Simply sync to your Google Classroom account today, and you’ll be set for good – no need to re-enter your information when you decide to continue with a paid LanSchool Air account. Operating in a Windows, MAC, iOS, Android or mixed-OS environment? 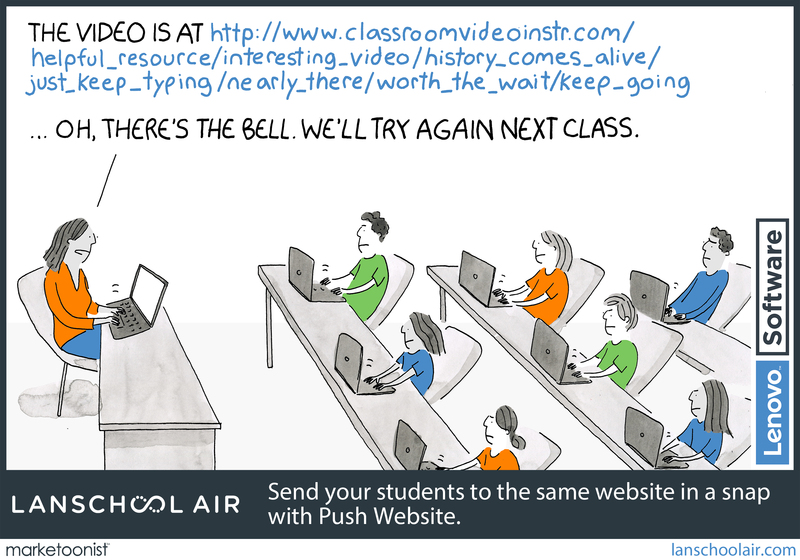 Check out LanSchool – the original classroom management solution. Whether for a single classroom or an entire district, LanSchool Air allows educators to manage various learning activities through one simple, easy-to-use platform. Setup only takes minutes and updates are automatic. A flexible approach to BYOD is allowing a cash-strapped Connecticut district to create a 1:1 computing program in its schools. Here are the five secrets to its success. Websites can be complex. Getting all your students on the same page shouldn’t be.